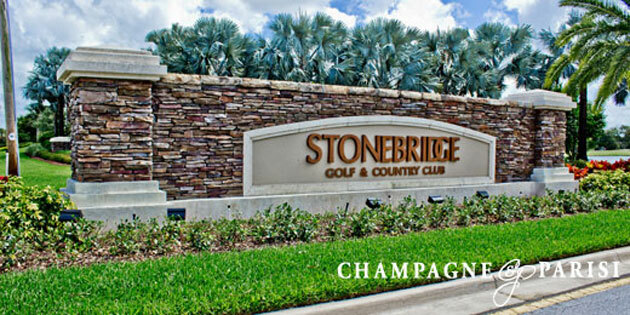 Stonebridge Golf & Country Club is a private gated community located in beautiful Boca Raton. Physically, it is full of Banyan trees and lush landscape that has come to define South Florida living, as well as 400 acres of of shimmering lakes and colorful foliage; however, these are just a minor fragment of what this sublime community has to offer. As far as the size goes, these range from 2,500 to 4,600 square feet. Of course, this neighborhood is complete with a countless number of world-class amenities, beginning with the gorgeous Stonebridge Clubhouse, which features superb dining with formal and casual options to cater to your every need. Fortunately, "No," is not a word used by the staff at Stonebridge, indicating that what you ask for you, will receive whether it's officially on the menu or not. Dinner reservations are generally available on short notice, and the food is truly delicious. With all of this in mind, one can clearly see how Stonebridge clearly portrays country club living at its finest.